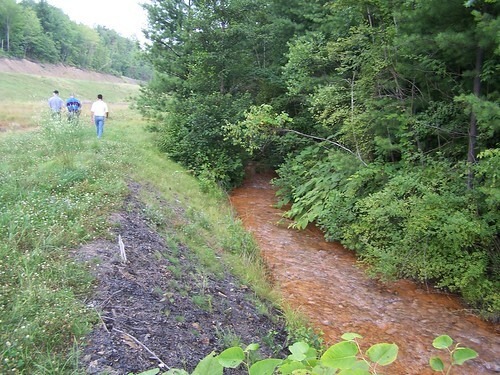 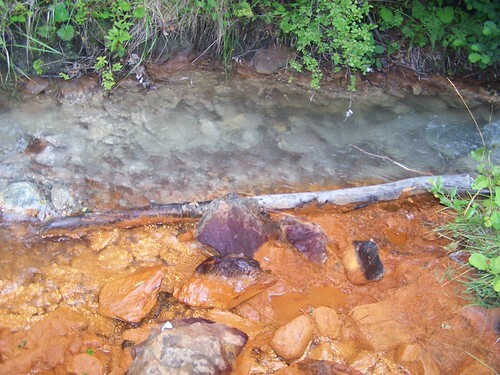 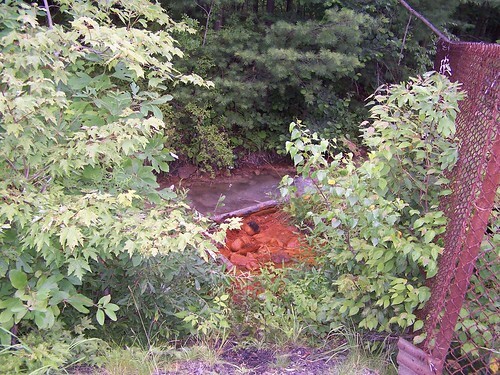 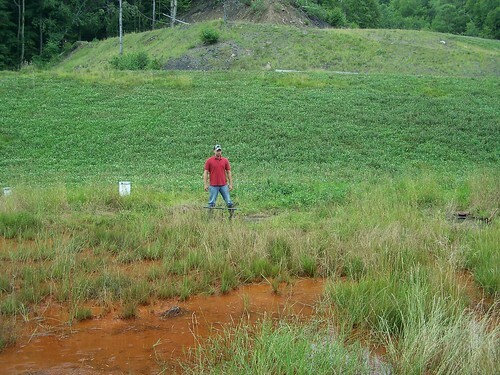 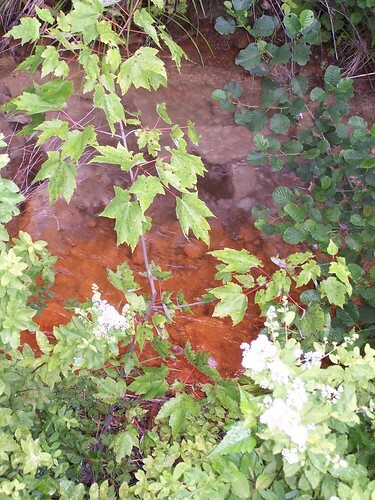 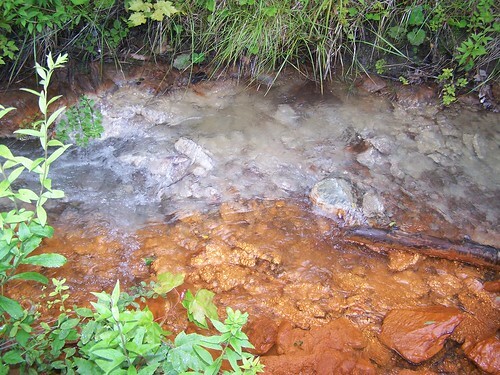 Abandoned Mine Drainage (AMD) from the Pine Forest Mine used to flow into Mill Creek discharging aluminum, iron, manganese, and acidity. 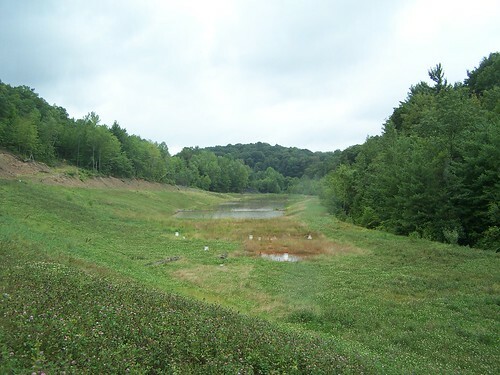 Because it is a tributary of the Schuylkill River headwaters, the AMD would then flow into the Schuylkill River. 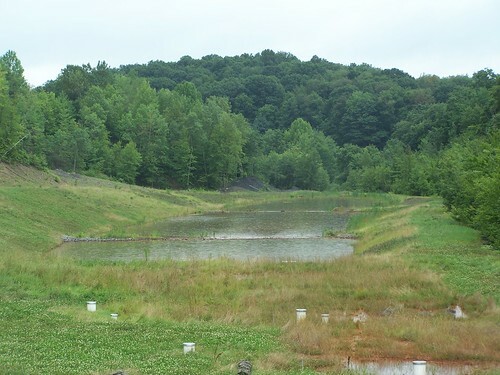 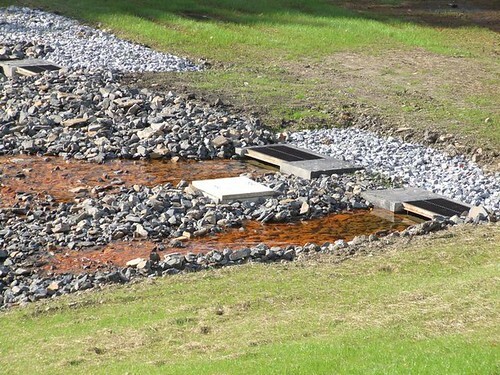 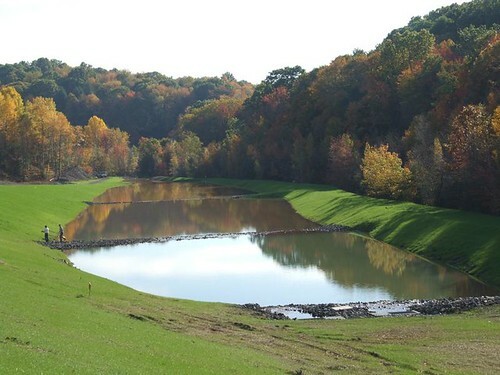 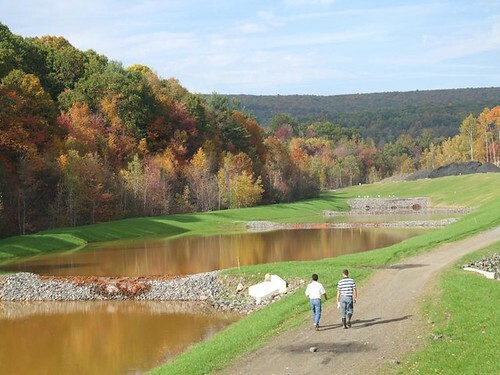 Using funds from the Schuylkill Watershed Initiative Grant, Schuylkill Headwaters Association installed an anoxic limestone drain, which is a buried ditch full of limestone. 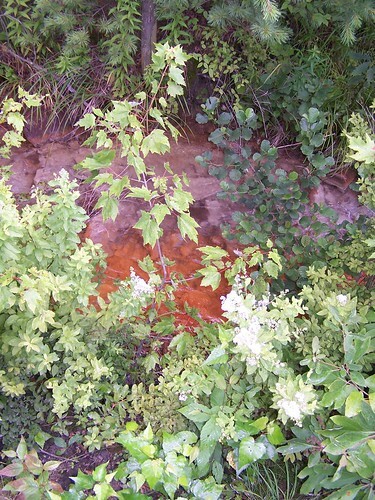 As mine water flows through the drain, the limestone dissolves and increases the alkalinity and pH levels, decreasing the water’s acidity. 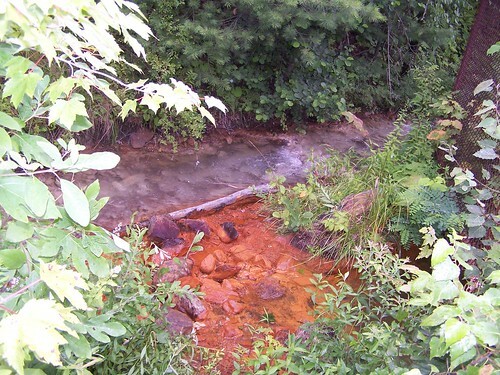 It is important that pH levels increase to support fish and other aquatic organisms. 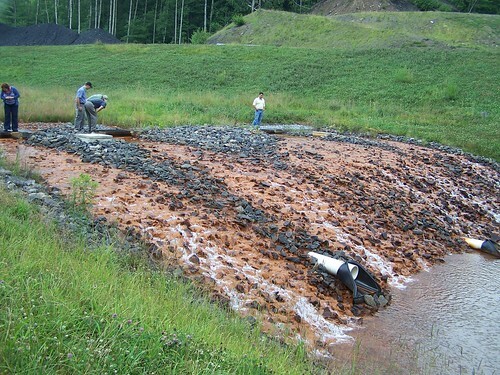 When exiting the drain, the treated water comes into contact with oxygen as it cascades over rocks and is captured in settling ponds. 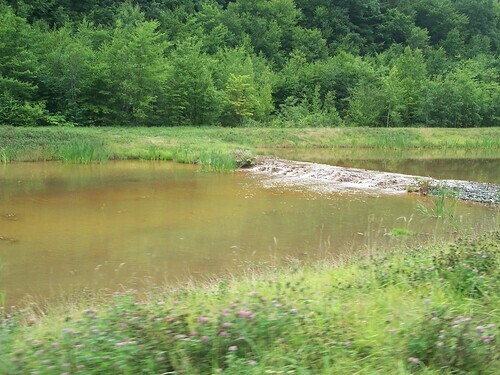 These ponds keep collected water calm for a period of time, allowing the metals to sink to the bottom before the water flows on to the Schuylkill River. 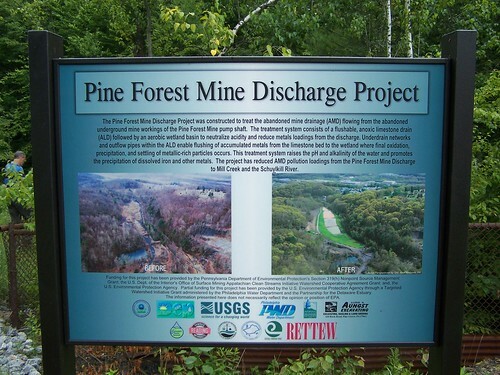 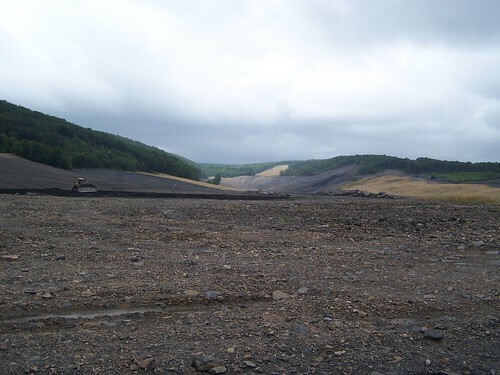 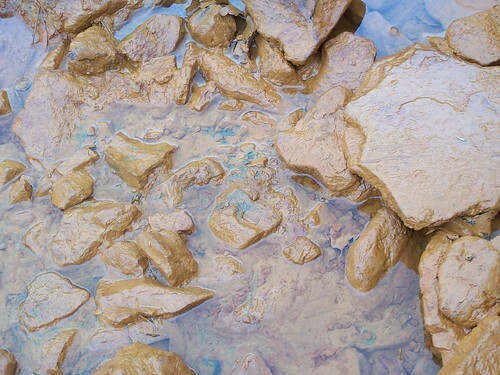 The anoxic limestone drain at Pine Forest now removes up to 316 lbs of iron per day from the Schuylkill River.